Portugal has recently announced that 70% of its energy consumption came from renewable sources in the first quarter of 2013, with favorable weather conditions and lower levels of energy consumption contributing to the record levels. 36% of total electricity in Portugal came from hydropower, a 312% increase from 2012. Wind turbines also produced record-breaking levels, supplying 27% of demand – a 60% increase from 2012. Unusually strong winds and water flow helped quite a bit. Portugal’s energy consumption has been falling since 2010, and this quarter saw a 2.3% reduction in overall energy use. There was also 29% less coal and 44% less gas used than in 2012, which is extra positive because the country imports all of its fossil fuels. This isn’t the first time Portugal has made impressive clean energy moves. In 2011, the country was run entirely on renewable energy for a few hours. Of course this quarter is the first time it has sustained a high percentage of clean energy use for an extended period of time, but the country is showing serious potential for what’s ahead in the coming years. There has been almost nonstop positive news in the clean energy sector this year, especially when it comes to wind energy. 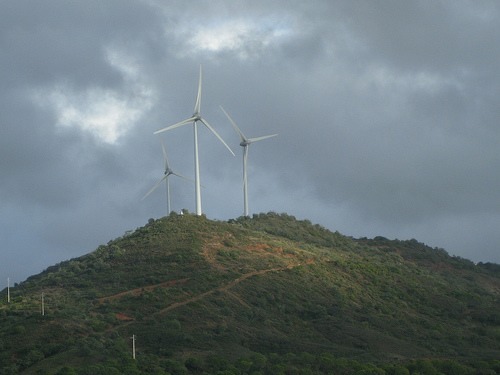 At this point, it looks like Portugal’s renewable power sector is on the up and up.